The findings were published in the European Journal of Clinical Microbiology and Infectious Diseases (June 2009 edition), and could hold special significance at a time when many of the world's top antibiotics are failing, especially against resistant “superbugs”. The honey has become so popular in the past few years that shortages have been reported and fake products have been sold, leading New Zealand manuka producers to seek trademark protection (similar to French champagne or Scottish whiskey for example). 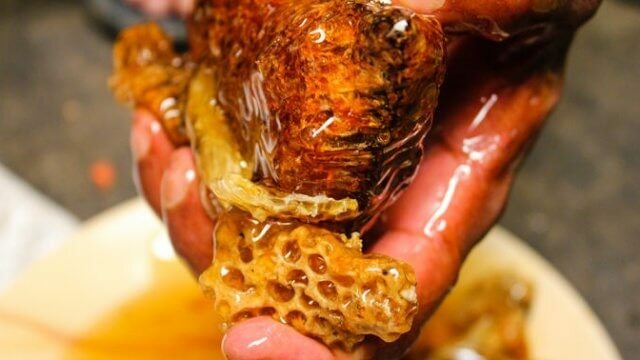 It's easy to see why now that the secret is out about this honey's incredible health benefits. The most exciting difference with the manuka honey that was tested is that none of superbugs killed by the honey were able to build up immunity, a common problem with today's antibiotics. Manuka honey is now sold in health food stores and online, although the supply levels have fluctuated in recent years and fake honey scams have been documented. When looking for manuka honey it is best to look for one that is UMF certified. The term UMF stands for Unique Manuka Factor, which is the phytochemical property derived from the manuka bushes that gives it its unique properties. This term is regulated by the Unique Manuka Factor Honey Association of New Zealand and a handful of certified manuka products can be found on Amazon.com. While further research needs to be done, it's safe to say that manuka honey shows plenty of promise in defeating one of the biggest health challenges faced by humanity in the 21st century, and this research should not be taken lightly.